HERE WE COME-A-CHEVRONING CHRISTMAS STOCKING PATTERN IS HERE! As promised a special project just in time for Christmas. Not feeling the holiday spirit yet? Perhaps a pattern for some fun Christmas stockings will get you in the mood! Here's what I've been working on. Here We Come-A-Chevroning Christmas Stocking pattern works up quick into a large stocking. It's a modern take on a classic Christmas stocking. Great to fill with goodies this holiday. Visit my ravelry store to get your copy now! Can't wait to see what colour combos you come up with. 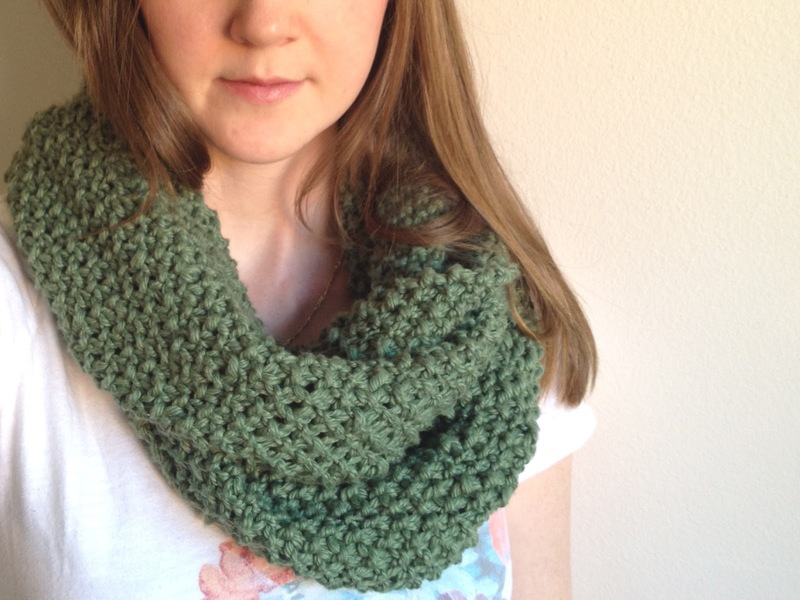 Be sure to post your finished projects to your ravelry account so I see all your wonderful creations! Not sure a Christmas stocking is the right project for you? Nervous about turning your first heel? Stay tuned for more fun projects and patterns coming soon! Happy Holidays and Happy Knitting! 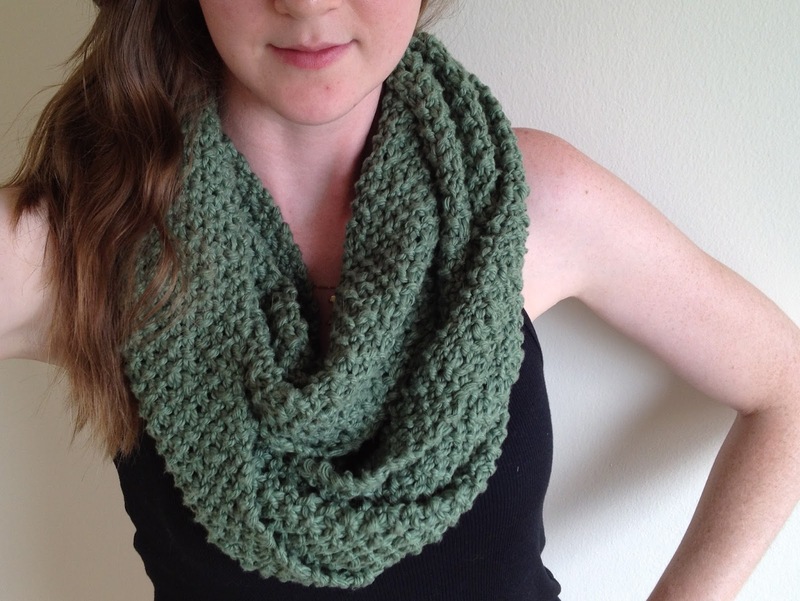 Due to popular demand my free infinity scarf pattern for beginners is now available in my Ravelry shop! Downloading a printable copy of your favorite pattern is now as easy as a click of a button. And don't worry...its still FREE! 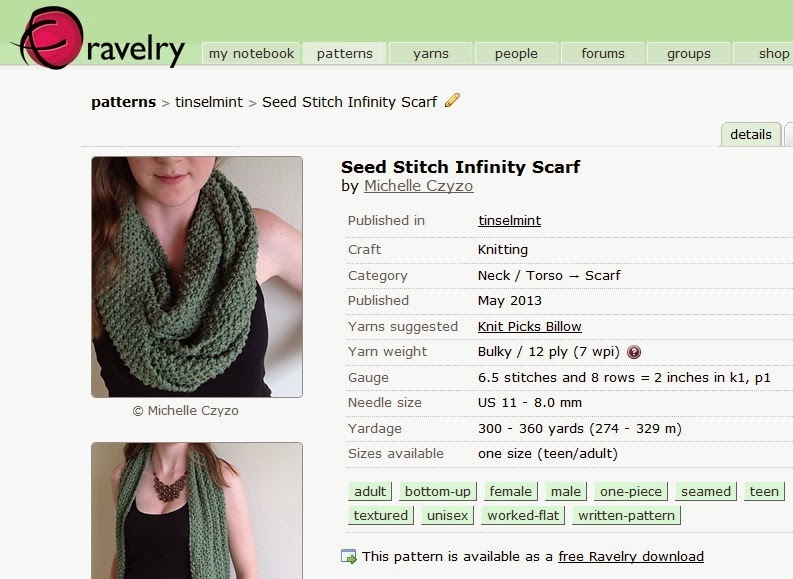 You can access my Seed Stitch Infinity Scarf pattern on Ravelry here. 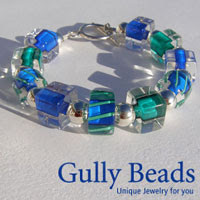 Be sure to check out the rest of my site as well to see what other projects I've been working on. Thank you everyone for all your positive comments and openess to ask questions. I've really enjoyed reading them and responding. I look forward to more! 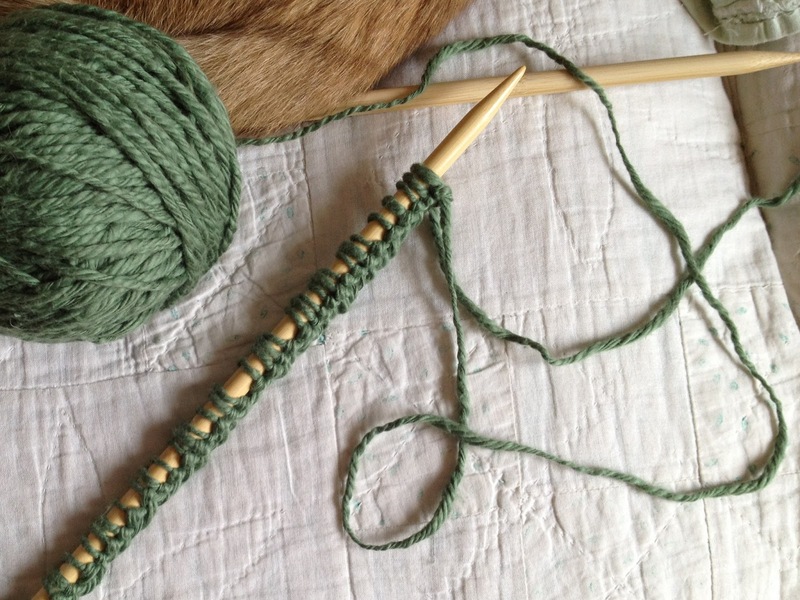 If you cast on, be sure to add your project to your own Ravelry page. 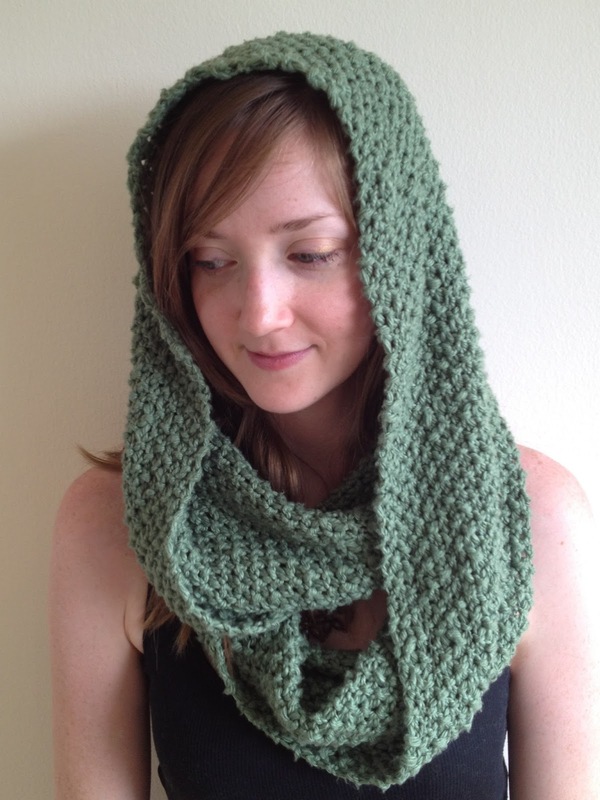 I love seeing your project pics and you might even get featured on my pattern page. Let me know you've cast on by leaving a comment below or tweeting me @tinselmint and be sure to add me as a friend on Ravelry too! I can't wait to see your progress, happy knitting. If you haven't heard of this before it may sound a bit odd, but I assure you eating these tasty blossoms is a treat! If you happen to grow your own zucchini (also known as courgette or summer squash) or know someone who does organically, you'll have an abundant supply of blossoms and a new favorite appetizer to add to your repertoire. 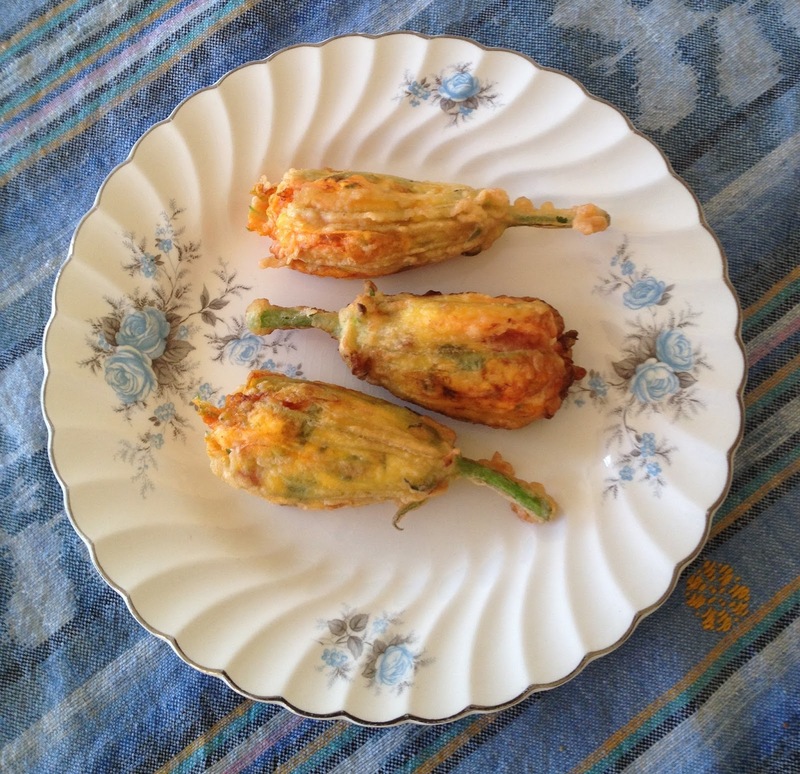 Today, I'm going to show you how to pick and prepare zucchini blossoms for eating. Over the past month or two, I've been experimenting with balcony gardening and all the ways to enjoy the small harvest it provides. Part of this for me was understanding how to make the most out of every plant I chose to grow including: strawberries, peas, zucchini, arugula, garlic, basil and tiny tomatoes. After my zucchini plants started producing blossoms, I noticed not all the blossoms produce fruit. They would blossom in the morning and close up in the evening and fall off in the following days. I had heard that you could eat the blossoms, so I thought why let them go to waste? 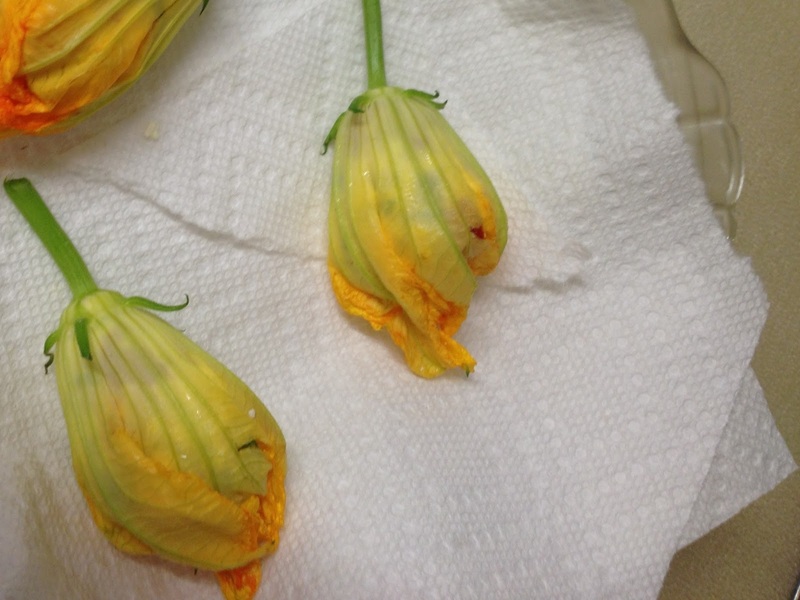 It turns out zucchini blossoms are a bit of a delicacy. You may get lucky and find fresh zucchini blossoms at a local farmer's market but because they are fragile and not easily stored and shipped they generally can't be found in the grocery store. I suggest using organically grown blossoms that haven't come into contact with any harsh chemical sprays. Try growing your own or sourcing them from a friend's backyard garden. It's important to learn the difference between the male and female blossoms of your zucchini plant. The males have a slender stem, where as the females have a small zucchini starting to form where the stem should be. While both are edible, if you eat the female flowers you won't have any actual zucchini to eat later on. Pick a handful of male or excess female blossoms and let's get started! Cut the male blossoms with about an inch of stem still attached and the female blossoms with the entire baby zucchini still attached. I like to do this in the morning when the blossoms are open. Prepare a bowl of cold water and tray with paper towel. Next, rinse the blossoms in the cold water. Be sure to inspect for bugs too! Gently shake any excess water from the blossom and place on tray. There is no need to remove the anthers or stigma from the inside of the flower, but you may do so if you like. Repeat this process for each blossom. You can store your tray of blossoms in the fridge for up to 24 hours with a second sheet of paper towel on top. 1. Mix together flour and water and stir until smooth. Using a fork, beat in egg and set aside. This is your thin batter. 3. Heat coconut oil in a small sauce pan on medium heat. You should have approximately 1/2 inch of oil in your pan, add more as needed. Fill each blossom with your filling, leaving enough room for the petals of the blossom to close. You may want to twist the petals slightly to keep the filling from spilling out. 4. Dip one blossom into the batter, giving it a thin coat. Place the blossom in the oil, turning occasionally until golden. Approximately 2 minutes. Place on paper towel. Repeat this process for each blossom. After discovering this tasty treat this past week, I knew I had to share it with you. I hope you enjoy this recipe as much as my husband and I have. Its a great snack or addition to just about any meal. If you like this post, share it on Pinterest or tweet it on Twitter. 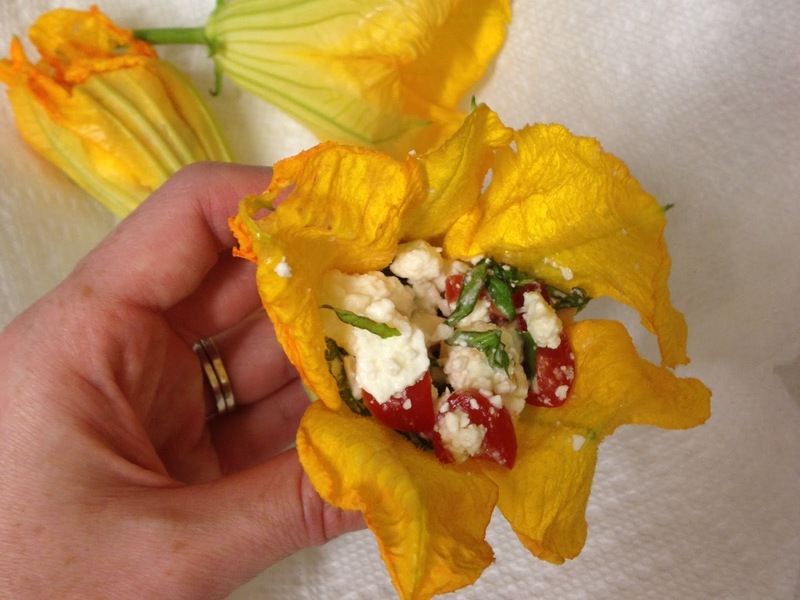 Let everyone know how tasty zucchini blossoms are! 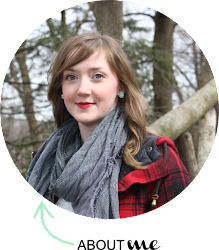 As promised, here is my free infinity scarf pattern for beginners! You too can knit something trendy and fun. I have been so excited to share this with you all and its finally here! Turn your hank into a ball by following my instructions here. If you are an advanced knitter and would like to make a substitution this is a bulky weight super soft pima cotton yarn with a thick and thin texture. If you are not familiar with US needle sizes you can find my conversion chart here. I know we haven't talked about gauge yet, so for the purpose of this pattern I only want you to use this as a rough guide. 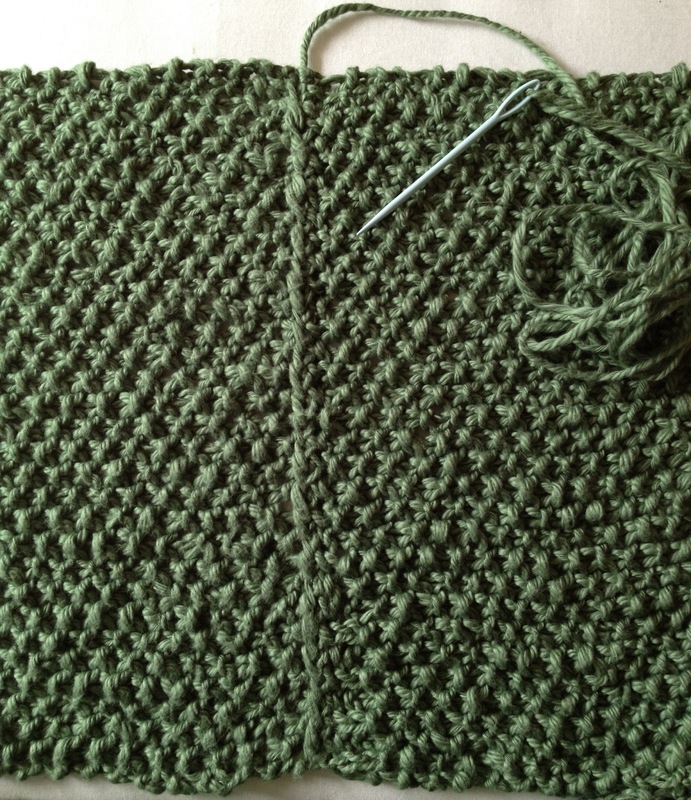 If the gauge of your knitted piece is slightly different that's ok because this is a very stretchy knit. Cast on 33 stitches (click here for instructions on how to cast on). 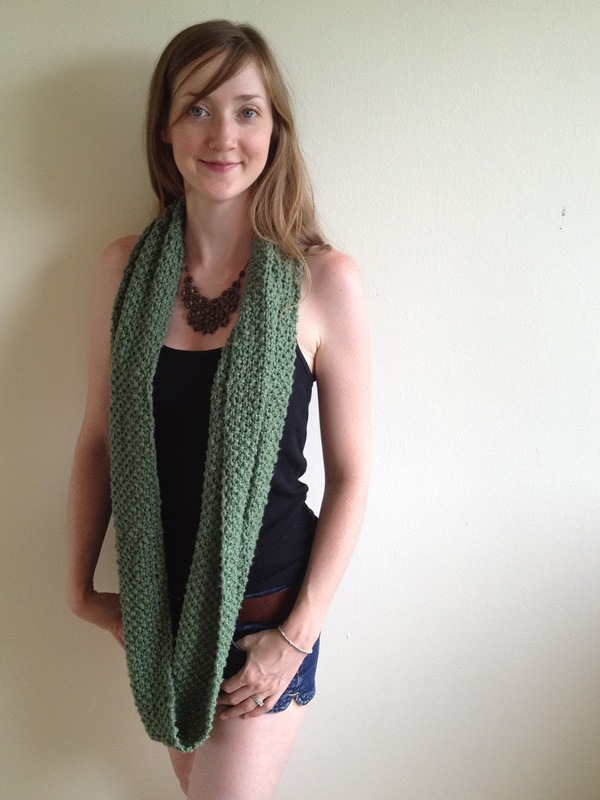 This scarf is knit in what's called a seed stitch pattern. 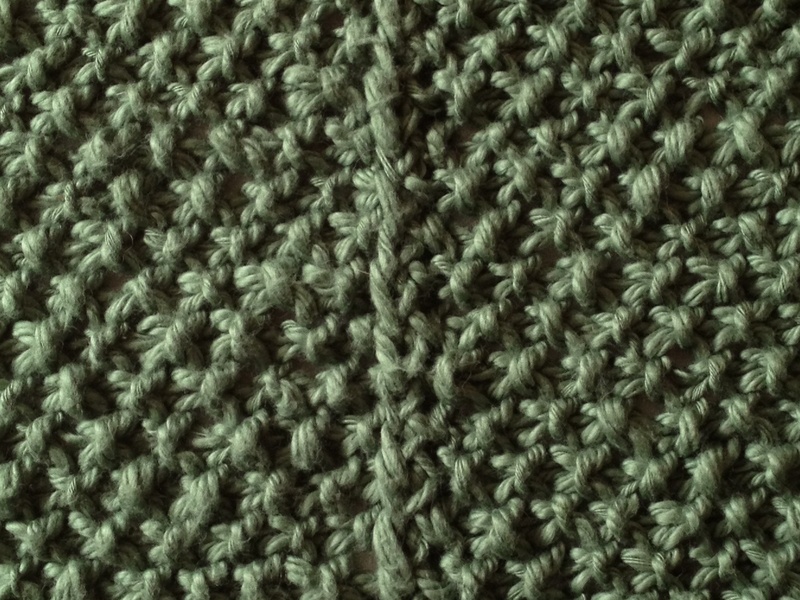 This pattern is created by alternating one knit stitch (k1) and one purl stitch (p1). 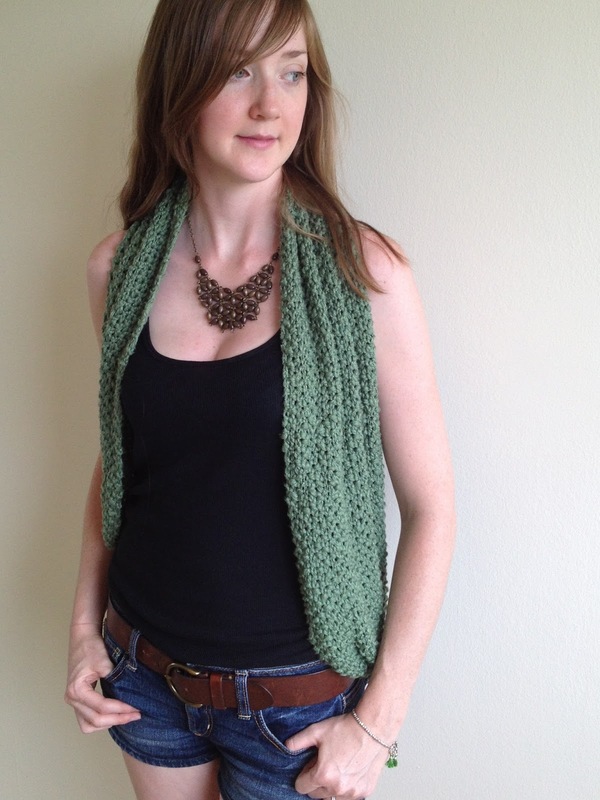 You can find my instructions on how to knit here, and how to purl here. You'll have to remember to bring your working yarn (the yarn you wrap around the needle) from the front of your work to the back of your work when alternating between knitting and purling. 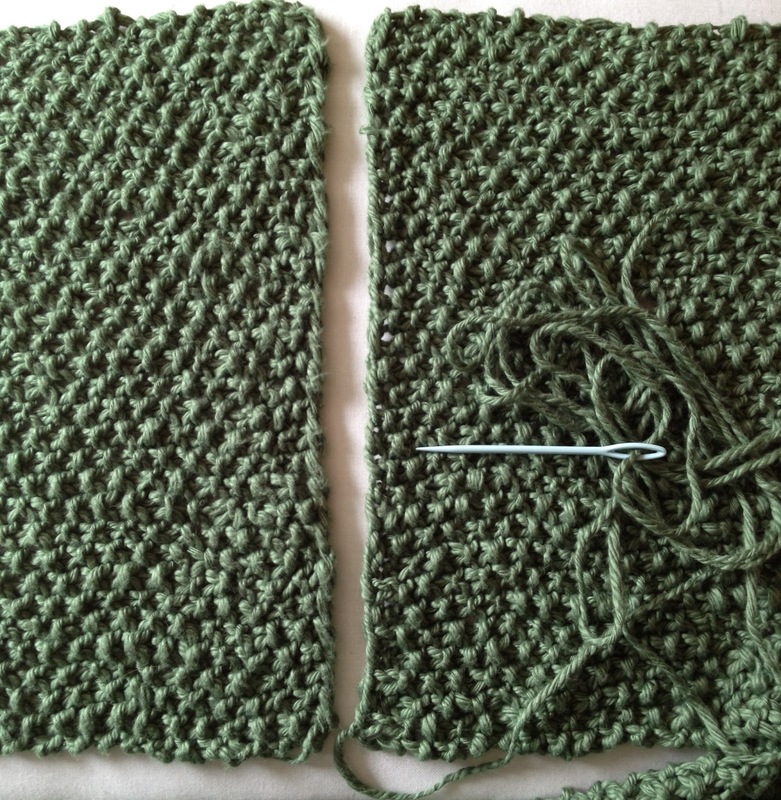 First row: (k1, p1) repeat until one stitch remains on your needle, k1. Turn work over. Repeat the first row until your scarf measures 62 inches in length or approximately 232 rows (width is 10.5 inches). Cast off (click here for instructions on how to cast off). Use scissors to break yarn, leaving a long tail of approximately 22 inches for stitching together the two ends of your scarf. To complete your infinity scarf, lay it on a flat surface and bring the two ends together (while still lying flat) so that they meet. Stitch the two ends together using the tail from your cast off edge. Next darn in any ends using a darning needle. DO NOT trim your ends with scissors without darning them in first as all your hard work will unravel. If this sounds complicated, don't worry, I'll have a post on how to do this later on. Want to download a printable copy of this pattern? Click here. Style and wear how you like! 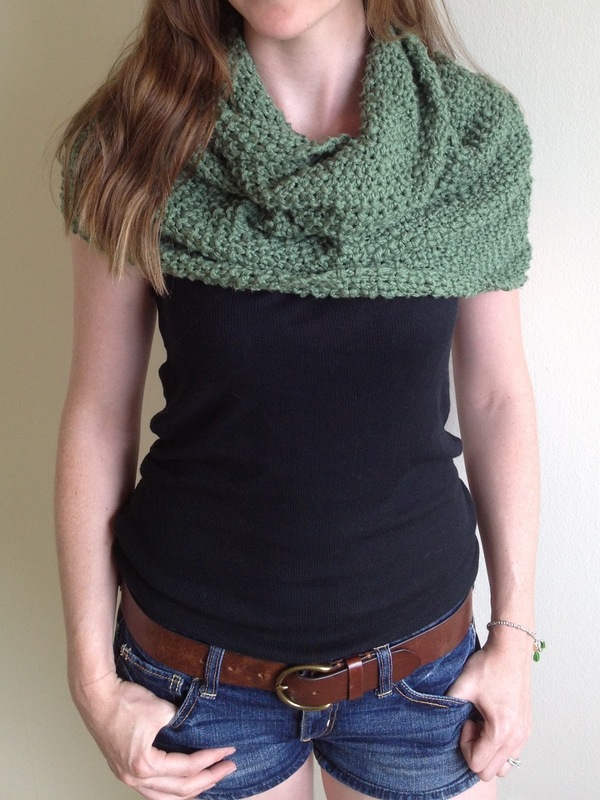 I'll post pics soon on the many ways to wear this lovely seed stitch infinity scarf (you can find that post here). Let me know you've cast on by leaving a comment below or tweeting me @tinselmint. I can't wait to see your progress, happy knitting.